2, 5, 7, 10, 12 – and what number comes next? Mike Schilli tests whether intelligence tests devised by psychologists can be cracked with modern AI Networks. Neural networks do great things when it comes to detecting patterns in noisy input data and assigning unambiguous results to them. If a dozen people with different handwriting enter the letters A or B in a form, a trained network can identify with almost 100 percent certainty what they wrote. Or consider pattern recognition systems for identifying the license plates of passing vehicles: Aren't these technical miracles? They extract the digits from a camera feed so that the Department of Transportation knows exactly who is going where. Once a neural network is done learning, it always assigns the same result to the same input data, but when it comes to tasks that need to determine the next value in time-discrete value sequences, neural networks often fail to deliver perfect results, especially if the input signal is subject to variations of unknown periodicity. In a neural network, the learning algorithm adjusts internal weights based on the training data. However, once these weights are determined, they won't change anymore at run time and thus cannot account for temporal changes in the input data, because the machine doesn't remember any previous state. Recurrent neural networks (RNNs) maintain internal connections back to the input, and thus a result can influence the next input vector, but this does not help a simple network identify temporal patterns that extend over several cycles. 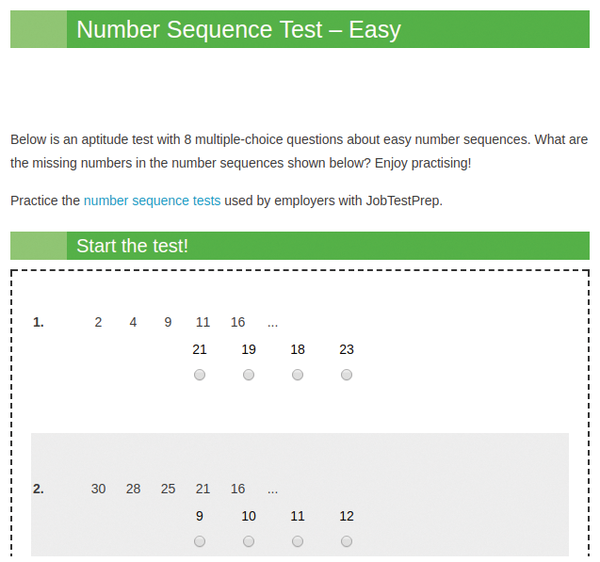 A somewhat entertaining example of predicting sequences are intelligence tests (Figure 1) performed by psychologists, where the candidate is asked to determine the number that comes next in a numeric sequence. Any school kid can tell that 2, 4, 6 is followed by 8, but what comes next after the sequence 2, 5, 7, 10, 12? Figure 1: An intelligence test asking the candidate to complete a sequence of numbers . 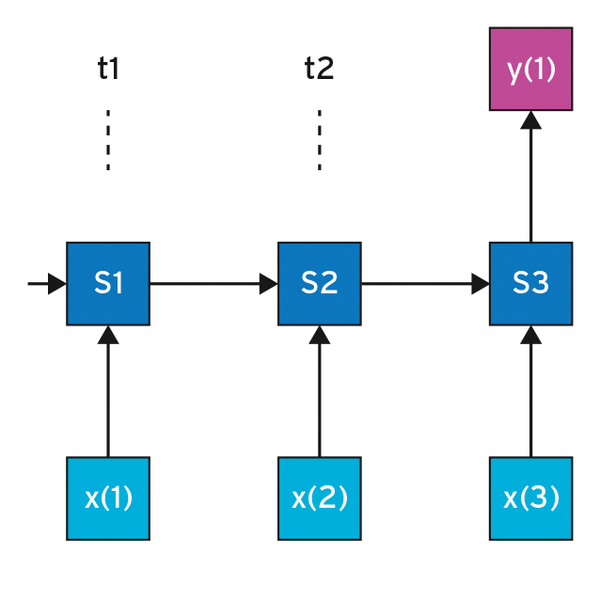 Figure 2 shows two learning steps and a test step for a Long Short-Term Memory (LSTM) network that I want to teach which number comes after 12. In the first learning step, in the first row of the matrix, it learns that the combination 2, 5, 7 is always followed by 10. 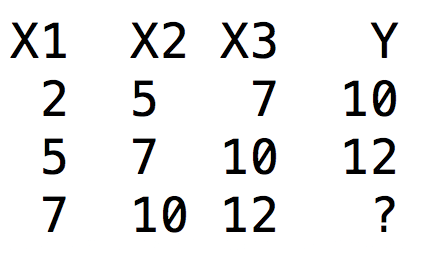 The second row assigns a result of 12 to the subsequence 5, 7, 10, therefore examining a window shifted by one step. The LSTM network uses this training data to adjust the parameters of its internal cells (Figure 3). Figure 2: Input and output values for training the LSTM network. 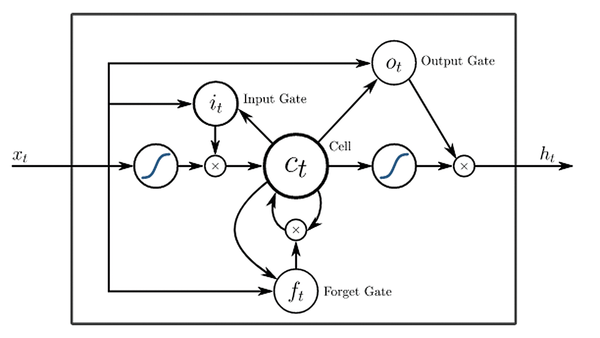 Unlike the neural network, not every input value produces an output value; instead, the LSTM keeps track of the current state in a hidden memory cell (Figure 4). It is only after receiving the third snippet of input and evaluating the carried over memory state that an output value (y(1)) is produced. Figure 4: Temporally consecutive input values initially only change the current internal status and produce output every three time steps. 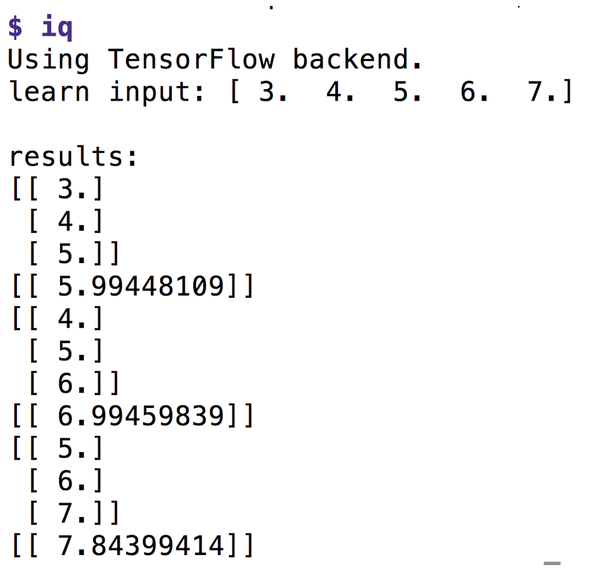 To implement the LSTM network, Listing 1  uses the Python keras library . Because many of its functions expect data in the form of matrixes of varying shapes and sizes, it makes sense to run a quick tutorial of the reshape() function exported by the NumPy array library first. A one-dimensional NumPy array (i.e., a vector) is converted by reshape(), as shown in Figure 5, to matrixes of predefined dimensions. 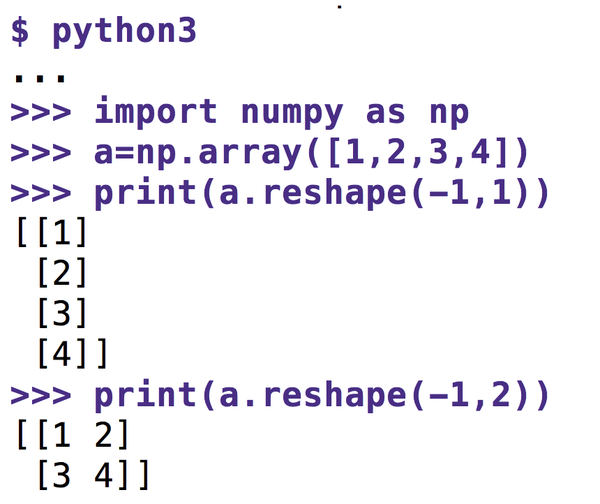 Figure 5: A NumPy array assumes various dimensions with reshape(). The first parameter passed to reshape() is the number of elements in the first dimension, followed by the number in the second, and so on. Because the number of elements is implicitly determined by the number of remaining elements after defining deeper dimensions, the former is often stated as -1. Then, the library fills the matrix with what's left over. Called with just one parameter (reshape(-1)), the method converts a nested array structure back into a one-dimensional vector. Called with an array like [3,4,5,6,7] (Figure 6), the script in Listing 1 relatively accurately produces the next sequence number (7.84 instead of 8). Listing 1 breaks down the series of numbers with the window function defined in line 12 into sliding windows of four ([3,4,5,6], [4,5,6,7]); it stores the first three elements in the input vector X and the last element in the result vector y. Figure 6: The LSTM network handles a simple sequence relatively accurately. To prevent the LSTM network's internal weight adjustments from going haywire, the StandardScaler from the sklearn library normalizes the original input values to small positive and negative floating-point numbers around zero for both the input and the result vector, the latter containing the anticipated correct results required for supervised learning. The fit_transform() method then applies the scaling procedure and standardizes the data. Later, before it comes to printing the results, inverse_transform() turns the tables and maps the data back to the original scale for an edifying inspection. Lines 38 to 45 stack the individual layers of the LSTM network on top of one another. First, the LSTM core layer is added in lines 39 and 40, with five internal neurons. It is followed by the connected output layer of type Dense and the Activation function, which sets the response curve of the neurons used internally to linear, because this achieved the best results in testing. On the basis of training data in the form of daily car mileage, Mike Schilli's AI program tries to identify patterns in driving behavior and make forecasts.